HoloPro™ is the highlight in the world of projection technics. 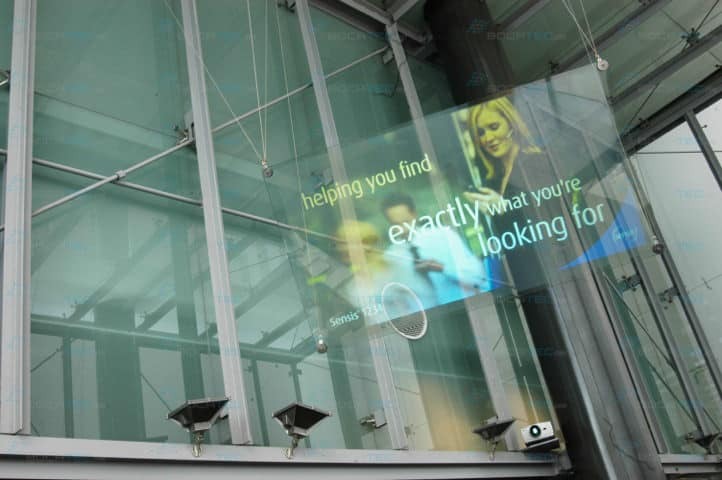 The invisible projection surface consists of glass where the transparent HoloPro™ film is embedded. Hereby arises the unique possibility to project in daylight onto glass. 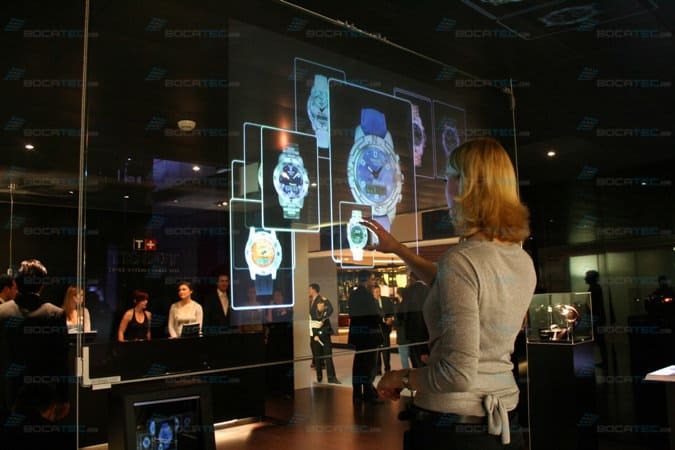 This magical projection gives your message a futuristic and exclusive touch. For a modern and surprising projection of your content, e.g. on trade shows HoloPro™ is thus the very first choice. We would love to consult you around the possibilities of HoloPro™ to bring your message to the top! 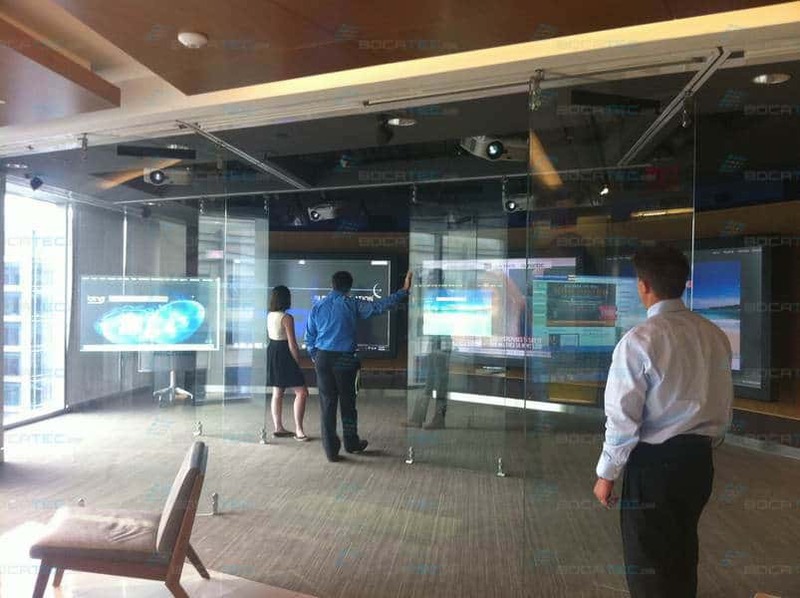 By means of a highly transparent HoloPro™ film embedded between two panes of glass, a daylight projection becomes possible – an unique possibility. Although the transparency of the material remains. 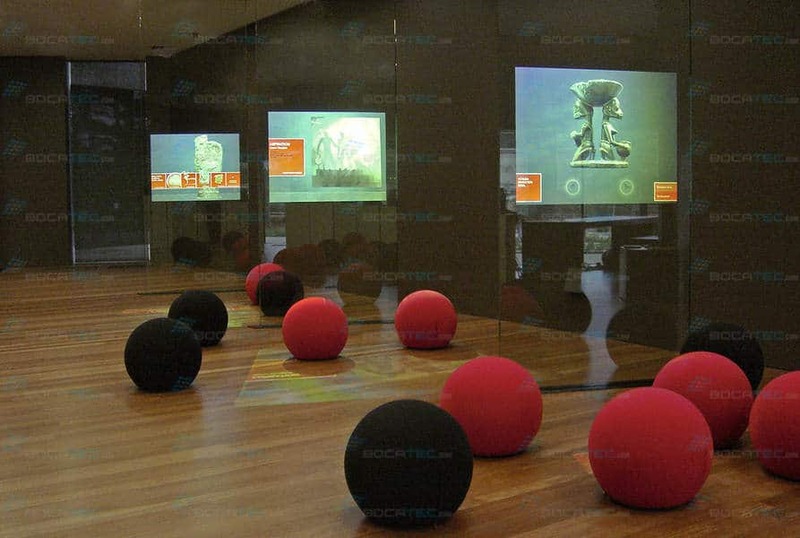 HoloPro™ surfaces became a part of your light- and room concept. 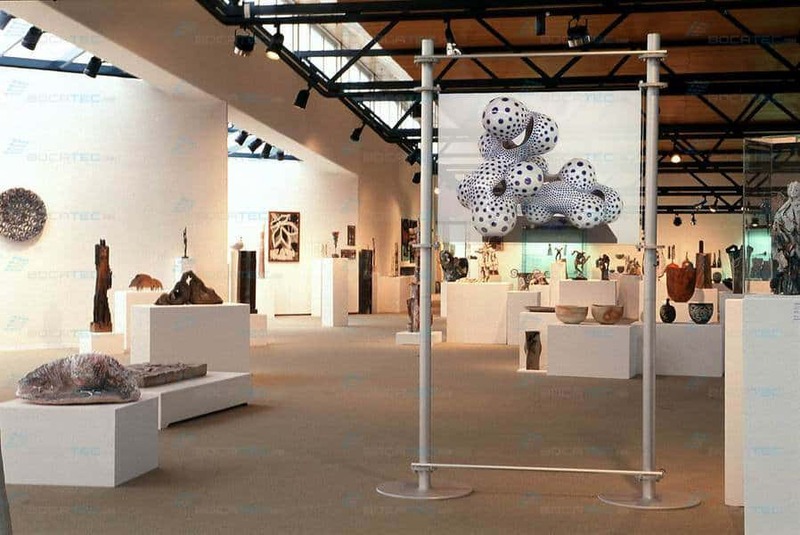 Trough individual sizes and shapes we create lively information areas that structure the room without destroying the penetrability and ambiance of the room.